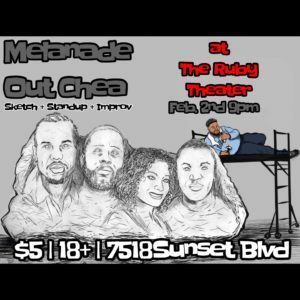 Out Chea (pronounced ow-chia) is a sketch program featuring an eclectic lineup of the hottest stand-up comedians performing sets and acting in scenes. Curated by Anyi Malik (Hulu, Buzzfeed) and directed by Lloyd Collins (Second City/UCB), their show cracks jokes on the benign, the scandalous, any and everything in between. 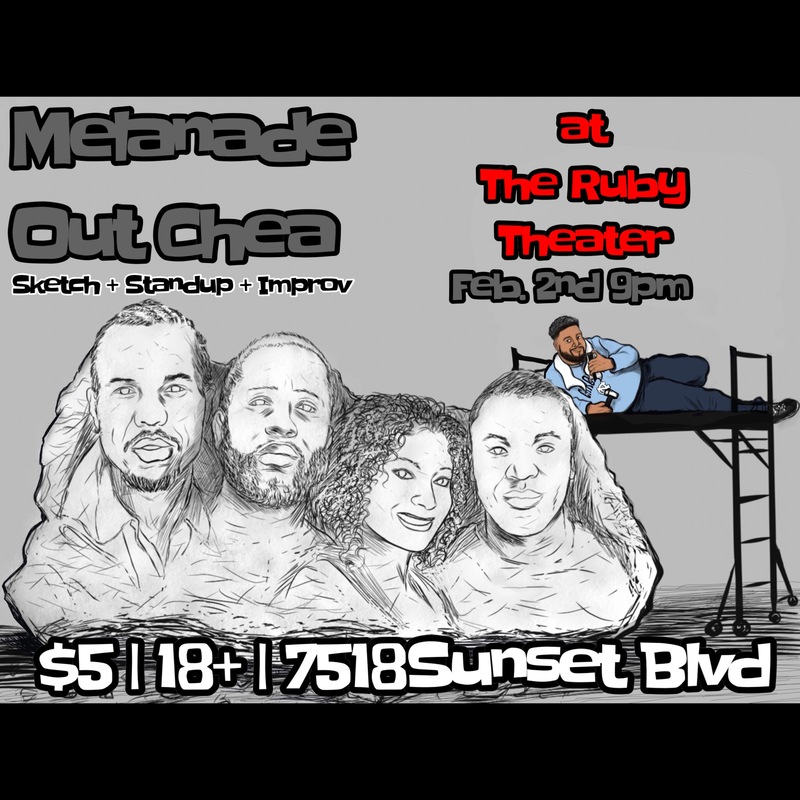 Find them online (@OutCheaSketch) and “Out Chea” at stages all over Los Angeles, CA! Life already gave these amazing performers melanin, and they knew exactly how to craft that into the perfect blend. By coming together and adding some Brown Suga, they formed “Melanade,” (@MelanadeImprov) an experience in comedic excellence. Hailing from all over, and based in Los Angeles, their thoroughly seasoned improv is food for the soul.